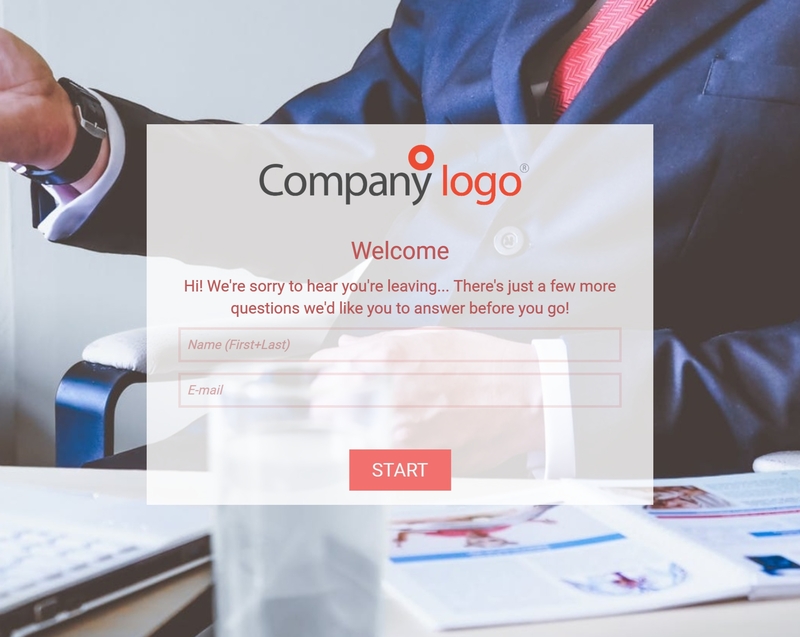 To customize this template after signing up, choose ‘Exit Interview’ as example when creating a new survey. Do you wish you knew why employees are choosing to leave your company or organization? Exit interviews are just the thing for that! They are good ways to discover what your organization was doing good and what it could improve at. When exit interviews are done correclty, they can help ending the employment on good terms for both parties. A complimentary face-to-face or telephone approach after a written survey is also possible, it enables a deeper conversation and the possibility to ask more probing questions if not everything was clear in the survey. Also the employees will appreciate the gesture. Advanced conditional branching lets your respondent take the quickest route through the exit interview by only showing questions that apply to him. It is important that the exit interview answers can be collected efficiently and that they automatically transferred to a central database where supervisors and/or HR personel can review the data. It can also be beneficial to both parties to do a follow up call with the respondent (leaving employee) to go into deeper detail on some questions.